Anaheim is the most populous city of Orange County in the metropolitan area of Los Angeles, California. A $5 billion regeneration programme has reinvented the city’s heart as the Anaheim Resort district, a stunning 1,100 – acre urban facility that makes the city a must-go-to tourist destination. Big travel companies like CLC World have seen the opportunity here and looking to expand their operations into the area. The resort is pedestrian-friendly with many palm tree-lined boulevards. For ease of travelling you can use the Anaheim Resort Transport network, specially set up to provide efficient transport for guests between their hotels and attractions. Anaheim is perhaps best known for its theme parks and sports teams but there are many more attractions to delight and excite travellers and their families. The Honda Center is one of the most famous entertainment and sports venues in the US. The arena is home to the ice skating team (the Anaheim Ducks) and American Football League team (LA Kiss). Their annual calendar is packed with top-name concerts and acts including Maroon 5, The Who, Katy Perry and the December 2016 performance by Andrea Bocelli. Make sure you check ahead to organise the best events to suit you! Knott’s has the cachet of being America’s first theme park. 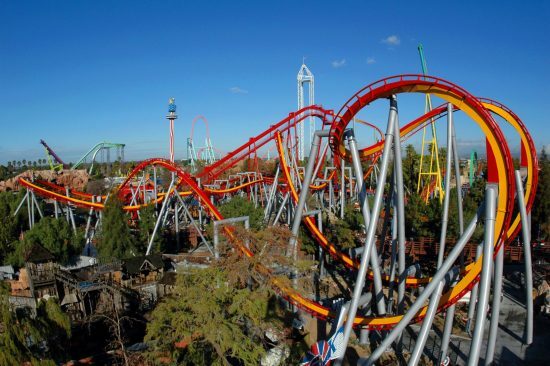 It is now the 12th most visited theme park in the States. High-octane roller coaster rides like the Boomerang speed past topsy turvy thrill rides and water rides. Good family fun can be had closer to the ground with a stage coach ride or bumper cars. Topping it off are excellent dining areas, shops and live entertainment shows. This venue can hold an audience of 1,700 people and regularly hosts big name performances including the late, great, Prince and Ray Charles, Stevie Nicks and Merle Haggard. Annually, over 250 events take place here from comedy to family shows to live theatre where the presentation of the Broadway Show, Rock of Ages delighted the crowds. The historic downtown centre of Anaheim has been rejuvenated and it’s an ideal destination for anyone who loves browsing farmers’ markets, outdoor cafes, boutiques, art shows and street fairs. Seasonal draws include the fabulous Halloween Parade. Just off the boulevards are the Anaheim Ice Rink, Muzeo Museum and the fantastic Carnegie Library. The fun lasts throughout the day then through the evening culminating in the Promenade’s night life. The Park is a stunning green oasis in Anaheim’s urban location. 400 picnic tables encourage family outings and there is a series of four interconnected lakes with opportunities for fishing and sailing model boats. If you book ahead you get the chance to reserve volleyball courts, a physical fitness course and group shelters. Anaheim has no fewer than three farmers’ markets. Apart from the one on Center Street that features stalls around agriculture, business, crafts and dining there is the Farmers Park Market and the West Anaheim Farmers’ Market. Farmers Park lies on a two-acre green featuring a grassy knoll, redwood boardwalk, community gardens and a remarkable olive grove. The third market offers fresh produce from California certified farmers, locally sourced foods, live music, activities for children, fitness demonstrations, cooking classes and gourmet food. 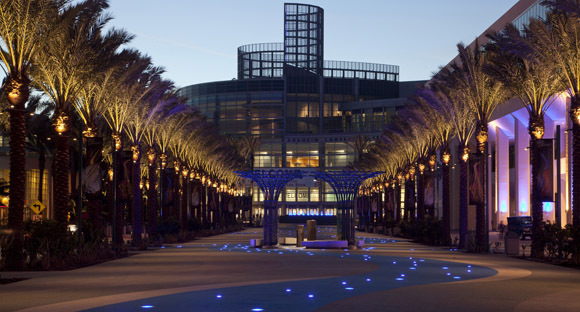 A visit to Anaheim wouldn’t be complete without a trip to the magnificent Convention Center. You will see why it’s the largest convention centre on the West Coast with a footprint of 1.6 million square feet. Check of the calendar to be wowed by concerts, mega tradeshows, ballroom dancing and more. The building itself is worth a visit – just the exterior architecture has much to excite a trigger-happy camera-touting visitor! Anaheim is a feast of outdoor and indoor events. The GardenWalk is a well-themed extravaganza of entertainment, outdoor dining and trendy shopping. Why not treat yourself and sample the fare from the Cheesecake Factory, Bubba Gump Shrimp Co, and the California Pizza Kitchen? The GardenWalk slogan is ‘Where our guests are the heart of the attraction’ and that’s obvious by how tourist-centric the area is. Music is becoming more of a draw too with the introduction of the House of Anaheim Blues and Rumba Room Live coming soon! And did we mention the high-end bowling alley? And before you think we forgot – we have to mention that little-known family-friendly destination: Disneyland – regarded as better than the Orlando resort! The Adventure Park is a holiday in itself. With onsite hotels, rides, tours, restaurants, spas and parades, your time will fly over in a rush of experiences that will leave you and your family memories to treasure. If you like your thrilling rides with more than a hint of water then we advise Pirates of the Caribbean. For more scares, head to Space Mountain Ghost Galaxy. If outdoor rides are more to your liking then the Big Thunder Mountain Railroad is an absolute must! For parades, your little ones will be awestruck by Mickey’s Soundsational Parade and the Pixar Play Parade. These pageants are truly magical. 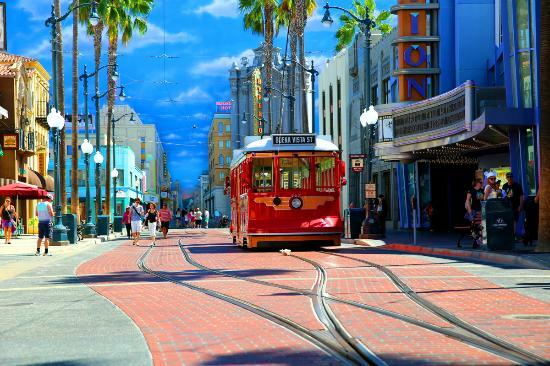 Showing that there is more to Anaheim than Disney is a worthwhile challenge and, while Disneyland is fantastic – a holiday hotspot – it’s great to see tourists coming to experience everything that Anaheim has to offer! Thanks for sharing. When we take the trip down to Anaheim it’s often for Disneyland and Knott’s Berry. Though Disney’s gotten quite expensive over the years so we’ve gone less and less. The farmer’s markets and the regional park look really interesting for a family trip too. Useful Tips! Thanks for sharing! In Anaheim, there is some many beautiful scenery and interesting places. 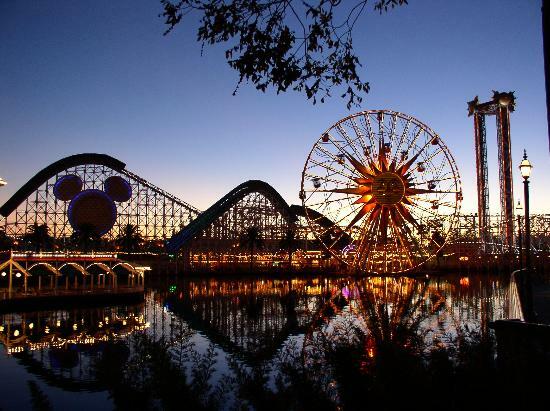 Especially the 12th most visited theme park – Knott’s, and the Disneyland are my favouriate. Because I am the big fan of theme parks! after reading your post, I would like to go travelling to Anaheim as soon as possible. Anaheim Resort is really fun place to have a trip! Beautiful scenery, interesting amusement equipment, blue sky ! I can fully relax myself there! Anaheim is a really great place to have adventure there! There are so many interesting things I can do there! I plan to go there recently. When I go there, I plan to follow your tips and I think I can have great fun! I like the Anaheim Resort and the lists you share is really interesting! Great 10 tips for playing in Anaheim. Seems great, like riding on the bumper cars or wandering in the Convention Center. Must be a fine day! from your article, I know much more information about the beautiful scenery in Anaheim and I am fairly willing to visit it one day. I love the Yorba Regional Park and Disneyland! Does it a wonderful place!